Kalarivathukkal Bhagavathy Temple, located near Valapattanam River, is the family temple of Chirakkal Royal Family in Kannur. Dedicated to Goddess Bhadrakali, the deity here is considered as the mother of the ancient martial art of Kerala, Kalaripayattu. The temple mainly celebrates two annual festivals, one is the Pooram Mahotsavam and the other is Kalaasholsavam (Thirumudi Utsavam). Pooram Mahotsavam celebrates in the Malayalam month of Meenam (March-April). This nine-day festival starts on the Karthika asterism and ends on the Pooram asterism with Kalaripayattu performance. Performances of Thayambaka and Poorakkali, traditional art form performed by men, make the festival celebrations splendid. Kalasholsavam (also known as Thirumudiyattam) will be celebrated in the Malayalam month of Edavam (May-June). 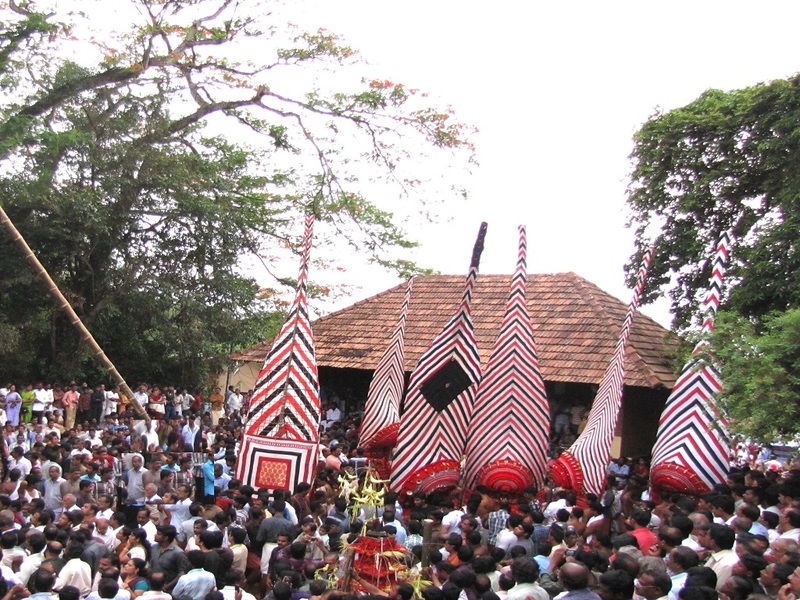 This annual Kaliayttam festival of Kalarivathukkal temple marks the conclusion of Theyyam season in north Malabar. The festival begins with Kalaripayattu performance. The Thirumudi Utsavam has seven Theyyams on the stage such as Kalarivathukkal Bhagavathy Theyyam, Thiruvarkattu Bhagavathi Theyyam, Chuzhali Bhagavathy, Someswari, Padikutti, Sreeporkkali Bhagavathy and Madiyan Kshethrapalakan. These theyyams are characterized using their big headgears (mudi). 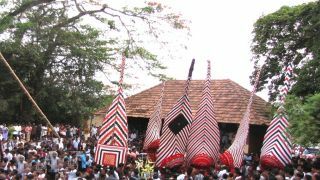 The headgear of Kalarivathukkal Bhagavathy is the tallest among the Theyyams in Kannur.